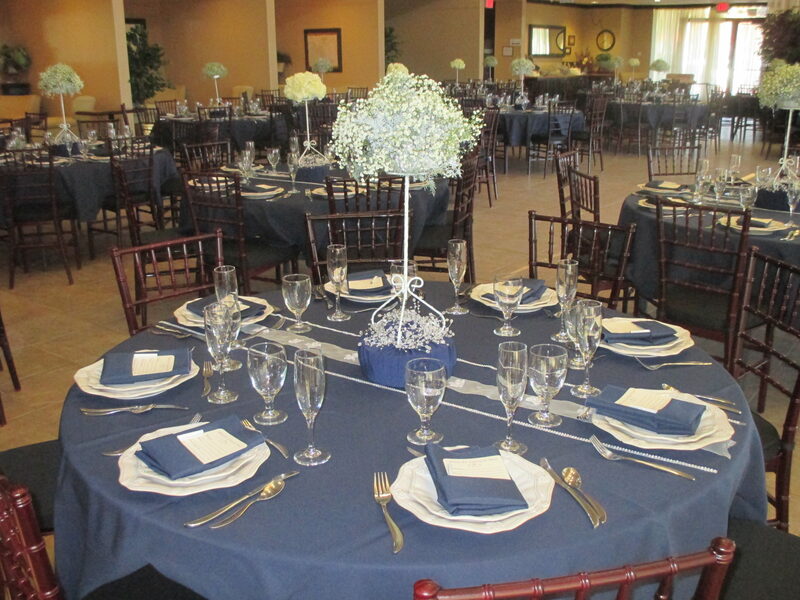 We have an assortment of linen colors and sizes available for on-site rentals. 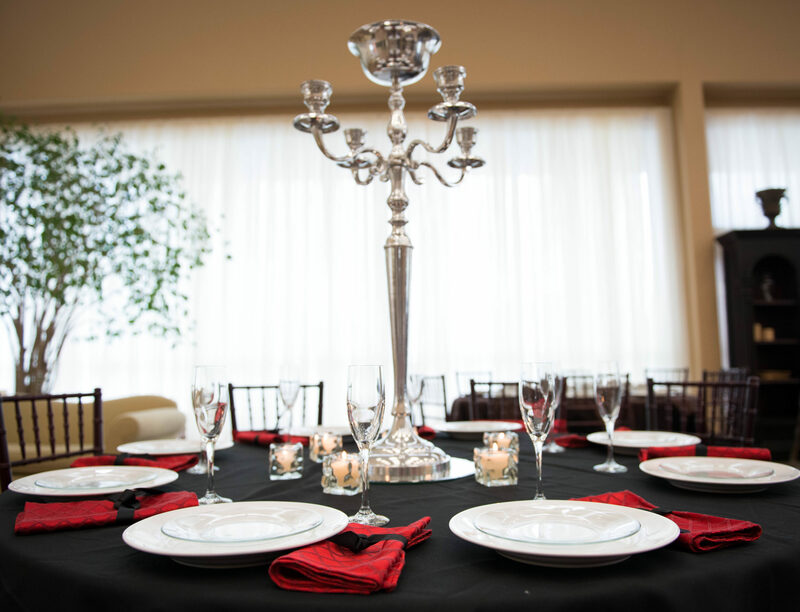 Contact us to learn about renting tablecloths, napkins, and runners. Items from our exclusive selection of fine china and elegant glassware can be ordered for your event. Please let our event coordinators know which pieces you are interested in. 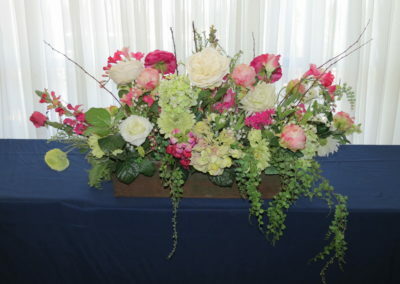 Part of designing a successful event is deciding upon a decorative theme. 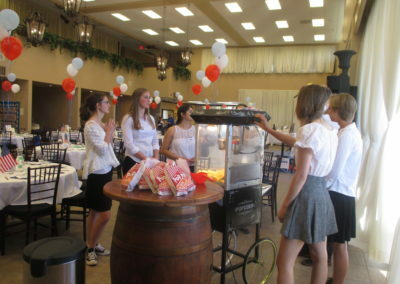 Our experienced event coordinators will help you create a beautiful occasion. They have created hundreds of stunning table decorations and are skilled at finding just the right look for your event. Below you’ll see photos of creative tabletop decor for inspiration. 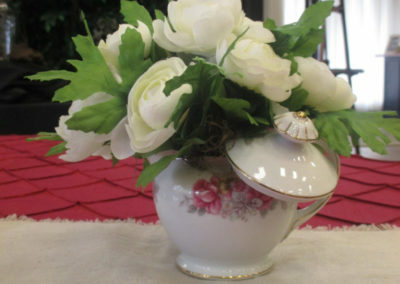 A few of the centerpiece items that we have available for rent include candles, vases, fans, teacups, mirrors, and shabby chic book centerpieces. We have a wide array of beautiful vases and containers for fresh flowers, as well as a variety of lovely faux flower arrangements. We’ll help customize your look with our onsite rentals that can make your event fashionable and easy! 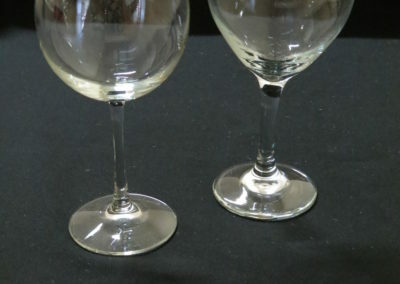 In addition to our fully equipped bar, we also offer a selection of beverage services for rent, like drink dispensers, coffee airpots, and signature Foothills wine glasses. We offer high-end audio/visual equipment for rent, such as a projector, mic stands, speakers, a soundboard, and more. Please contact us to share what your event’s AV needs are, and to get more information.